See the ship through the eyes of the crew: By soliciting a sailor's suggestions, Abrashoff drastically reduced tedious chores that provided little additional value. Communicate, communicate, communicate: The more Abrashoff communicated the plan, the better the crew's performance. His crew eventually started calling him "Megaphone Mike," since they heard from him so often. 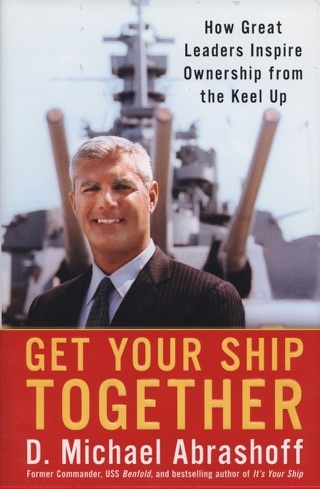 Create discipline by focusing on purpose: Discipline skyrocketed when Abrashoff's crew believed that what they were doing was important. Listen aggressively: After learning that many sailors wanted to use the GI Bill, Abrashoff brought a test official aboard the ship-and held the SATs forty miles off the Iraqi coast. From achieving amazing cost savings to winning the highest gunnery score in the Pacific Fleet, Captain Abrashoff's extraordinary campaign sent shock waves through the U.S. Navy. It can help you change the course of your ship, no matter where your business battles are fought. MWA Grand Master Muller delivers a relatively routine stand-alone, a murder mystery with an environmental veneer, which falls short of the quality of her acclaimed Sharon McCone series (The Dangerous Hour, etc.). When a greedy North Carolina corporation seeks to harvest water from a quiet California lumber town the Cape Perdido of the title Jessie Domingo, a public and community relations consultant, and Fitch Collier, an arrogant and difficult attorney who specializes in water rights, team up to help the community fight the interloper. The conflict between the townspeople and the company rapidly escalates after a sniper takes a shot at one of the huge bags to be used to transport the water. The lingering shadow from a decades-old unsolved murder connected to many of the local players in the dispute complicates Domingo's work and leads to even more violence. Less than compelling characters and a pat ending mark this as an uncharacteristic lapse for Muller, who hopefully will return to form with her next book. This book wasn’t what I expected. It was mostly a collection of leadership-isms that while valuable aren’t new. While the performance of the ship was admirable, I didn’t really glean anything new from this book. I wouldn’t rather had more details on the successes vice just the stories. Also, the author is constantly trying to convince us that he is humble by telling me how humble he and his people were. 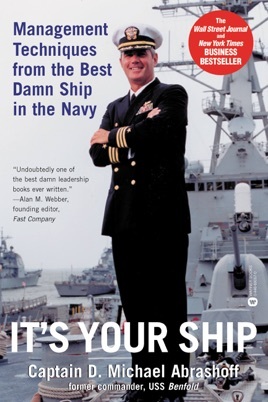 An easy to read and excellent study in leadership from an individual who proved beyond a doubt that his techniques and ideas are a successful means to operating a ship, or a business. Highly recommended, with many lessons that can be applied in your situation, whatever it may be, if you are directing others. This book helped me realize in order to lead others you have to become a leader of your own life first.